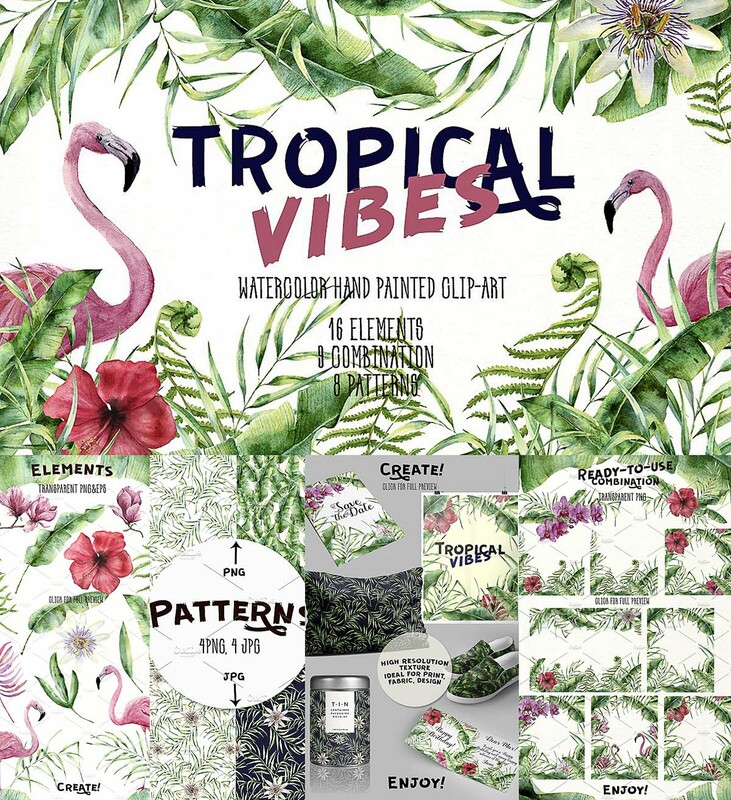 Collection of 16 elements, 9 cards and 8 patterns with tropical flowers, leaves and animals. 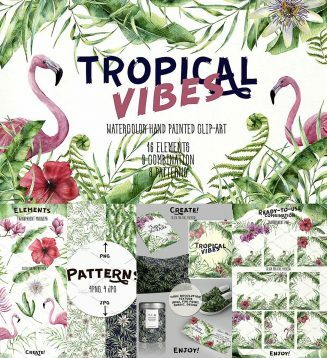 In this project you will find illustrations of palm tree leaves, tropical flowers (hibiscus, orchid, passiflora, magnolia), greenery (fern, passiflora leaves) and flamingo. You can use it for design of greeting cards, wedding decor and invitation, digital projects, medicine and cosmetics, textiles, packaging, prints, natural and organic products. Tags: aloha, botanical, coconut, fern, flamingo, hibiscus, Magnolia, orchid, passiflora, tropical, tropical leaves, watercolor.